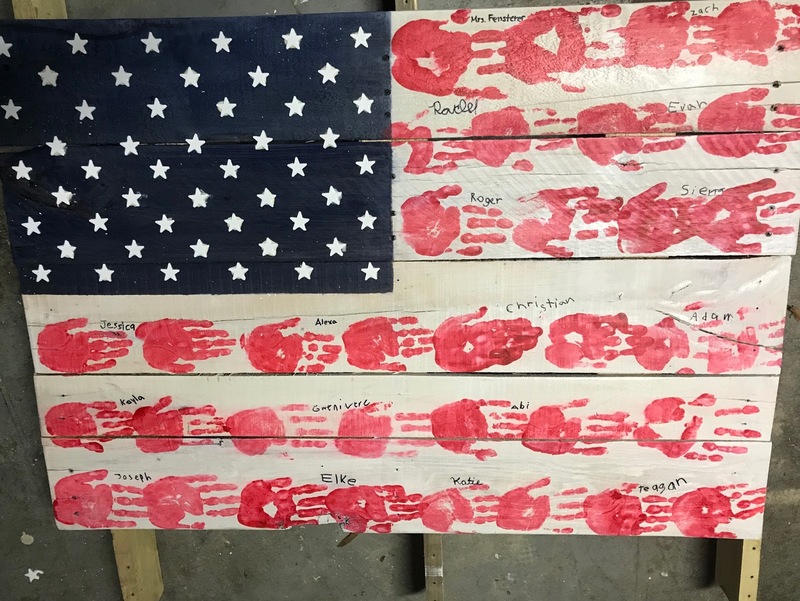 For the annual school auction I made a pallet flag with kids handprints for my daughters 3rd grade class basket. Best part of working with pallets is you can make the project basically for free with a little bit of elbow grease. One of the moms got the pallets and dropped them off at my house plus I already had the paint. I ripped apart 1 pallet and then nail gunned 2 of the pieces along the back to secure the boards. I taped off half the width and half the length to paint the blue part of the flag. 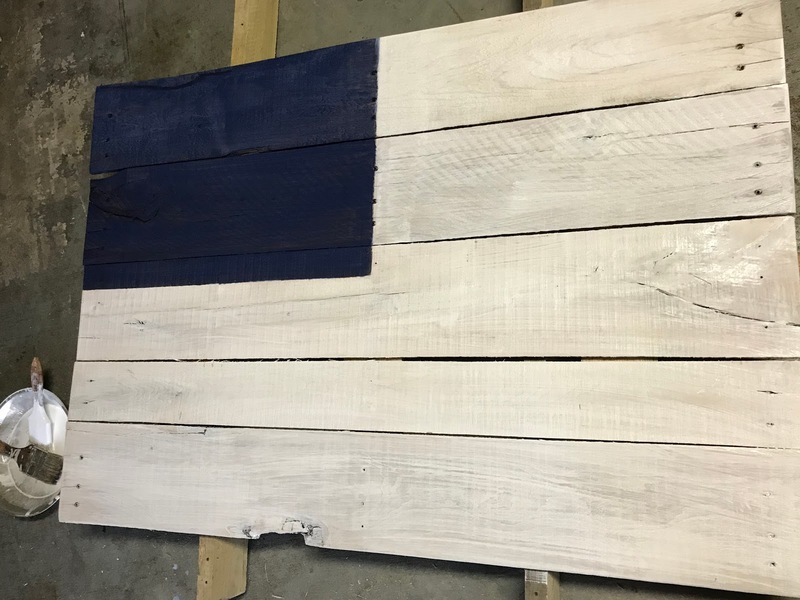 The rest of the flag I painted with watered down white paint and painted that on. 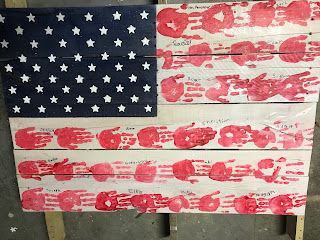 Another mom spray painted wooden stars that I would glue on after getting the kids handprints. 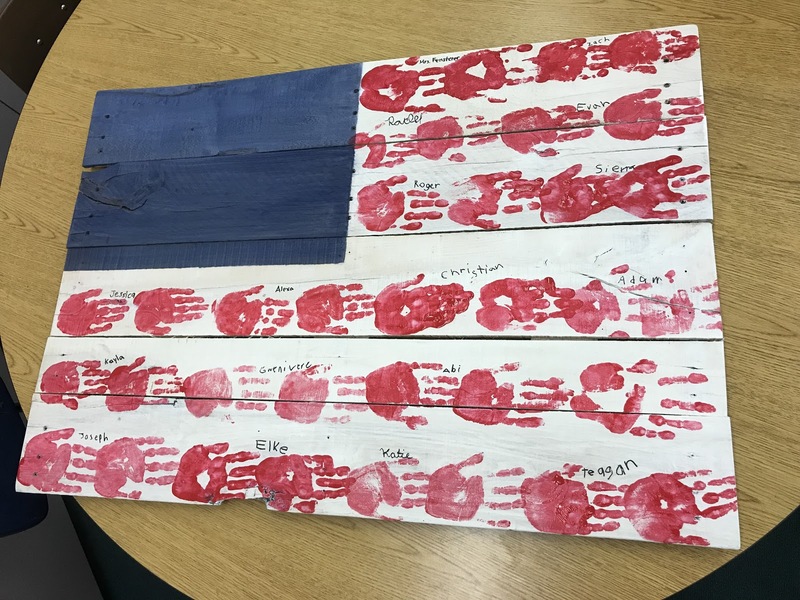 We used red paint to get a set of handprints from the class including the teachers and a black sharpie for them to sign next to them. I roughly measured out the blue and lined up all the white stars. I used wood glue to adhere them then let the flag dry overnight. I covered it in two coats of water based poly letting it dry for an hour in between coats. In retrospect I probably should have used acrylic red paint since I used water based poly because some of the handprints smudged. Lastly I screwed in hanging brackets and attached a wire between them. I think it turned out well for my first one! 2018 Calendar - Free Printable & Editable Pages! Road trip up North for the Weekend! Kids Handprint Calendar Ideas - Free Downloads!